BATHURST, N.B. 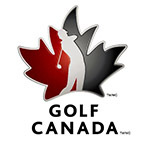 – Peter Detemple and Brady Exber were the only players in the red at the end of the first round of the Canadian Men’s Senior Championship at Gowan Brae Golf & Country Club. It was a sunny, blue bird day with a little wind that succeeded in throwing off some players, but not Detemple. “It was a beautiful day, perfect enough breeze for the mosquitoes to keep away. You know, the wind is your friend in golf, you use it. It wasn’t overly windy, it was a normal wind,” said the Vancouver native. Detemple opened with two birdies on his front nine but struggled with his putter on No. 10 as he made the turn. “I missed a 12-inch putt on 10, I tapped it in and missed it. I was standing there like ‘what the heck’ that don’t happen,” Detemple laughed. He didn’t let that stop him. The Lexington Park, Ontario, resident continued to card two more birdies against two bogeys to finish 1 under. “I played conservative, I kept it in play today, that was my goal. You don’t want to shoot yourself out,” said the 56-year-old. Unlike Detemple, Exber had a rough start to the tournament when he arrived in Bathurst, but his clubs did not. Exber was one of many players whose clubs didn’t make it for the practice round, but thankfully arrived just on time for the beginning of the championship. The 62-year-old had a similar opening round to Detemple recording two birdies. Exber made the turn–also recording a bogey on No. 10 and a birdie on No. 11–and recorded an eagle on No. 14 after a chip-in just off the green. Two players trail the duo after carding rounds of even-par 72. Ken Griffith of Red Deer, Alta. and Allen Barber of Yorktown, Va., both share third heading into Wednesday’s second round. Canadian Golf Hall of Fame Honoured Member and 2014 Champion, Doug Roxbough, leads the Super Senior (65 years +) Division by two strokes over Lars Melander from Oakville, Ont. and Mike Hosford from Dieppe, N.B. Roxbough recorded a 2-over-74 in Tuesday’s round. Defending champions, Team Alberta, has a share of the lead with neighboring province, Team Saskatchewan, at 4 over. Three strokes back, with a share of third, are Team British Columbia (+7) and Team Ontario (+7). Any Male golfer who has reached their 55th birthday by the first scheduled day of the championship. Player must have a handicap factor of 8.0 or less. Any Male golfer who has reached their 65th birthday by the first scheduled day of the championship. Player must have a handicap factor of 12.0 or less.